The magnificence of royalty. The opulence of aristocracy. The influence of the elite. 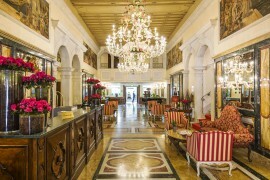 The Palm Court at the Plaza is the location where the grand tales of royalty are set. It is THE place where royals and celebrities relax, it is THE establishment where history continues to be written and re-written. You could possibly turn around to listen in on a conversation that Jay Gatsby started, or a joke that Marilyn Monroe is giggling at, or the safe harbor where Jackie Kennedy feels she can be herself, away from the glares of cameras. So iconic is The Plaza, that F. Scott Fitzgerald set his stories, including The Great Gatsby, inside the hotel, forever tying the establishment to its elite position in history. 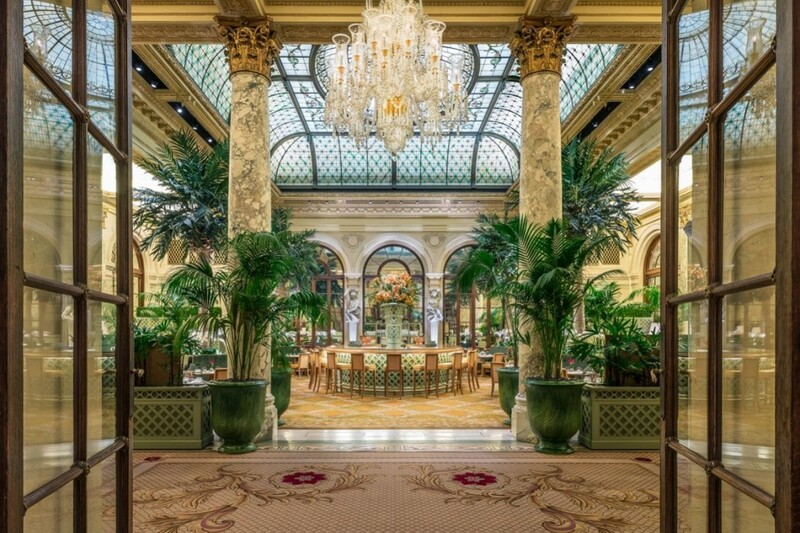 The Palm Court is the heartbeat of The Plaza, with the million dollar restoration of a 1,800 square foot stained glass laylight not seen for fifty years, returns to a grandeur worthy of its National Historic landmark status. And it is at this center where art comes to life, and Afternoon Tea served here is fit for royalty. Surrounded by the splendor of European royalty, the Palm Court’s afternoon tea caters to the different tastes of its sophisticated clientele. 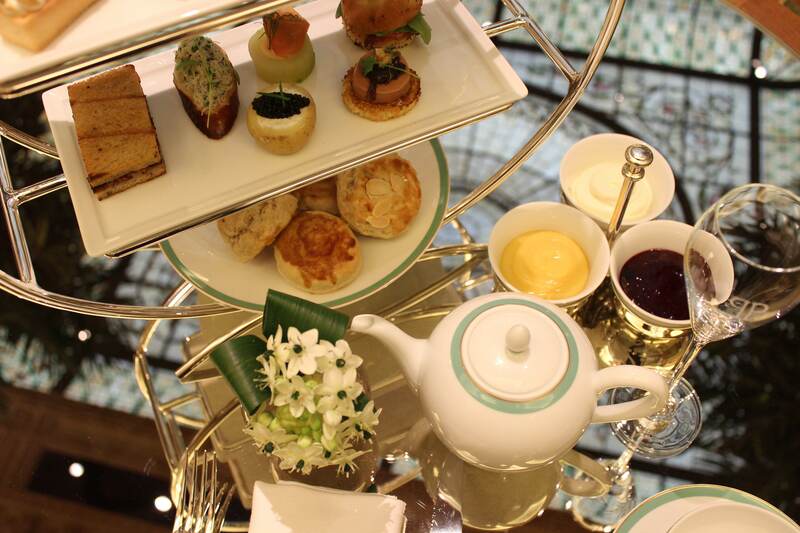 The stunningly lavish afternoon tea service makes sure that the only competitor is possibly Buckingham Palace. The Plaza Hotel is one of the, if not, the most famous prestigious hotel in the world and definitely THE most luxurious in the United States of America. 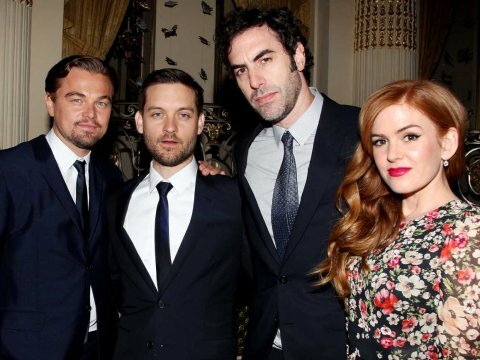 Its rise can be linked to the rise of the greatness of America and to the glorious rise of Hollywood. It is also the only hotel in New York City to be named a National Historic Landmark. It is in fact, the perfect example of the American Elite. America might not have royal palaces, but you could say The White House and The Plaza Hotel are symbols of American royalty and are palaces in the American frontier. 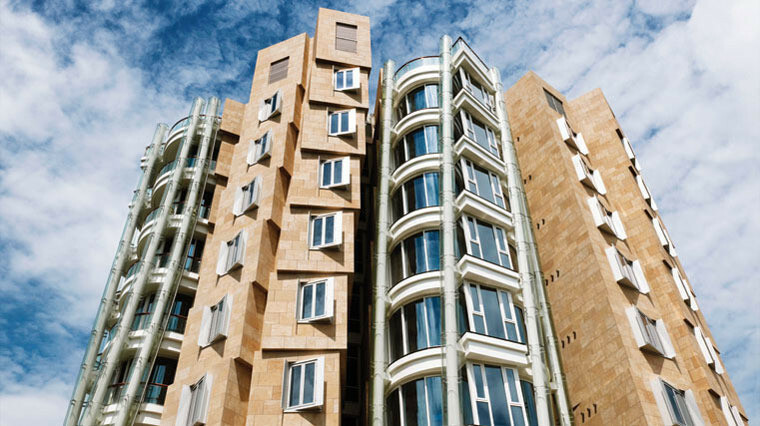 Being a global icon of luxury, the legendary quality of The Plaza and its guests are both unmatched. Over the past century, The Plaza has hosted a variety of celebrated personalities, including royalty, movie stars, socialites, actors, musicians, politicians, athletes, ambassadors and literati like The Beatles, Marilyn Monroe, F. Scott Fitzgerald, Truman Capote, John F. Kennedy and Jacqueline Kennedy, Maharaja of Jaipur, Frank Sinatra, etc. 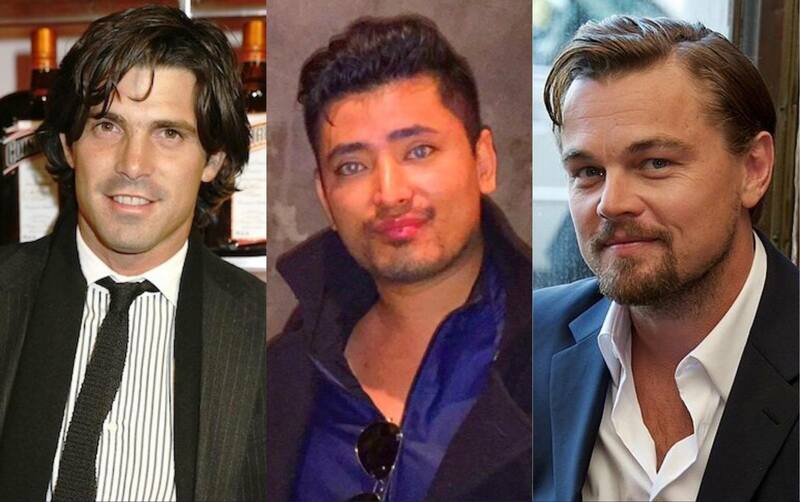 Nowadays, a fresh crop of influential personalities, celebrities, royals such as movie stars Leonardo Dicaprio, Tobey Maguire, Jennifer Garner, Global Luxury Brand Ambassador Pritan Ambroase, Princess Eugenie of York, Polo Player and Ralph Lauren Ambassador Nacho Figueras with his family, Hollywood Heartthrob Matt Bomer and his husband Simon Halls and their sons Kit, Henry and Walker, Robert Redford, Barbara Streisand, Socialite Paris Hilton, Singer Madonna, Multiple Academy Award Winner Daniel Day Lewis are all regulars at the Plaza Hotel and they are keeping the legend alive. 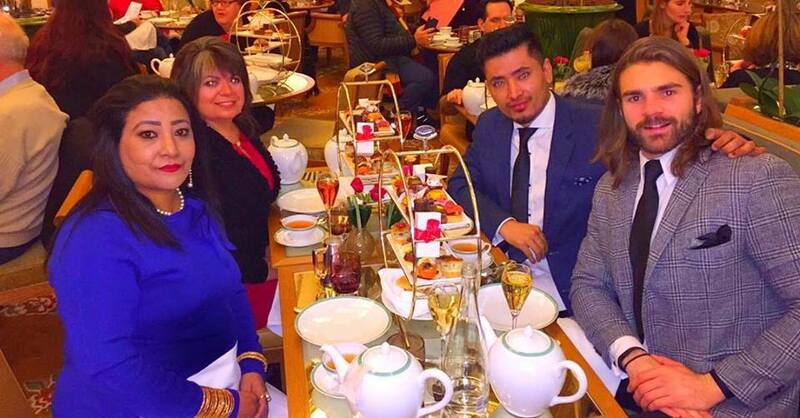 Global Luxury Brand Ambassador Pritan Ambroase with his family, specifically Derick Welsh, mom Sophie Ambroase, godmother Monica Hammer Welsh enjoyed Afternoon Tea together at the Plaza Hotel’s jewel Palm Court while celebrating their family. Ambassador Pritan Ambroase is also a global influencer who has lived in several continents, multiple countries, royal palaces, mansions, manor houses, etc with close personal links to notable royal families, presidents, prime ministers, admires the Plaza Hotel for its exemplary standards on a global scale. As a renowned art dealer specializing in private sales of old masters such as Rembrandt, Renoir, Van Gogh, Monet, Cezanne, Gauguin, etc, Ambassador Pritan Ambroase appreciates The Plaza Hotel and the world it creates. 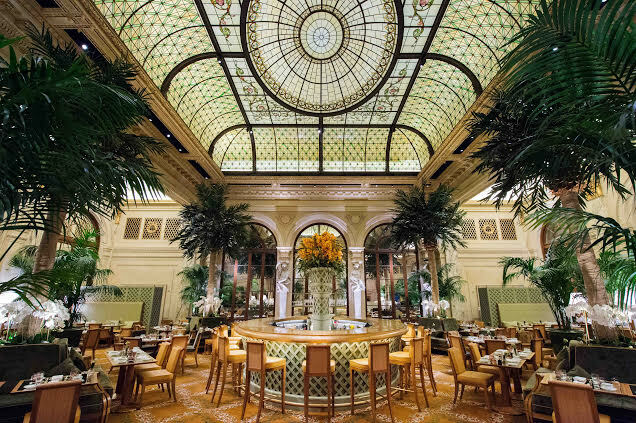 Geoffrey Zakarian has re-launched the iconic Palm Court at The Plaza hotel with a complete renovation helmed by master architect Thierry Despont. Zakarian showcases classic American menus from morning to evening, and while staying true to its original design intent, Despont has brought the grand feeling of Central Park indoors. Garden elements such as caning, large potted plants, four soaring palm trees and an oval trellised bar anchor the room, creating an ambience that feels warm, private and glamorous. Bespoke furnishings provide a relaxed, yet elegant setting well-suited for either a professional breakfast meeting or an evening of cocktails crafted by world-renowned mixologist Brian Van Flandern. Afternoon Tea is complete with custom tableware by Bernardaud, a tea list by Palais des Thés with worldly depth, and of course, a bit of Eloise too. This elegant room marked with its stained glass dome and impressive height adds a touch of old New York to a polished and modern sense of hospitality. Long a part of Plaza tradition, the romantic and ethereal Palm Court has served as a setting for scenes in many popular novels and films, most notably, F. Scott Fitzgerald’s The Great Gatsby. It is a great castle-like landmark which doubles as a grand palace with The Palm Court as the heart and soul of The Plaza. 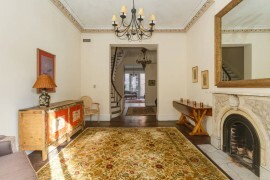 It is a vast, airy landmark space bordered by mirrored doors, golden hued marble columns with a domed yellow-and-green skylight as its crown. 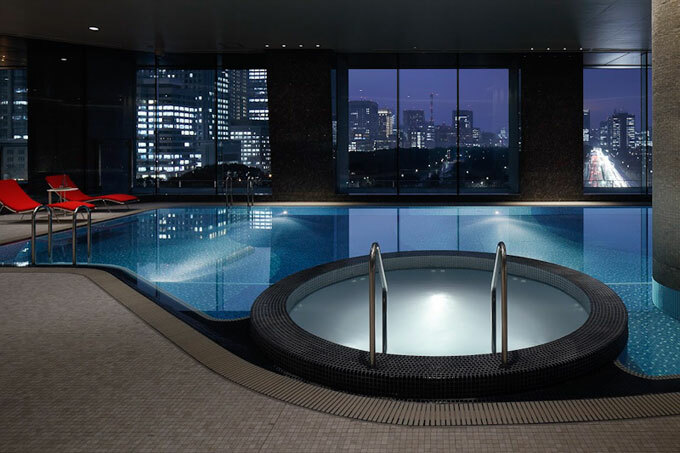 The hotel is New York’s most fashionable address and it continues the tradition of defining luxury through unmatched five star service, with a contemporary spirit. 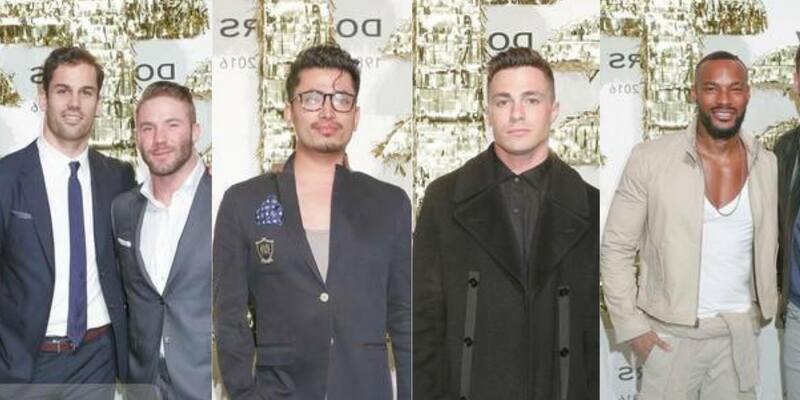 In the photo from left to right: CFDA Ambassadors and NFL Football Players Julian Edelman and Eric Decker, Global Luxury Brand Ambassador Pritan Ambroase, Actor Colton Haynes, supermodel Tyson Beckford attend New York Fashion Week Men’s Fall/Winter 2016 in February. Since the time of its invention for the royals, a perfect high tea is a team effort and in order to produce a five star serviced menu it takes more than a team, it takes an army of dedicated people. Having made his mark as an entrepreneur, ambassador and philanthropist, Ambassador Ambroase is soon to begin his foray as a TV talk show host, truly believes that a group of people working together as a team in unison matters most to achieve success. The Plaza Hotel is here to stay. 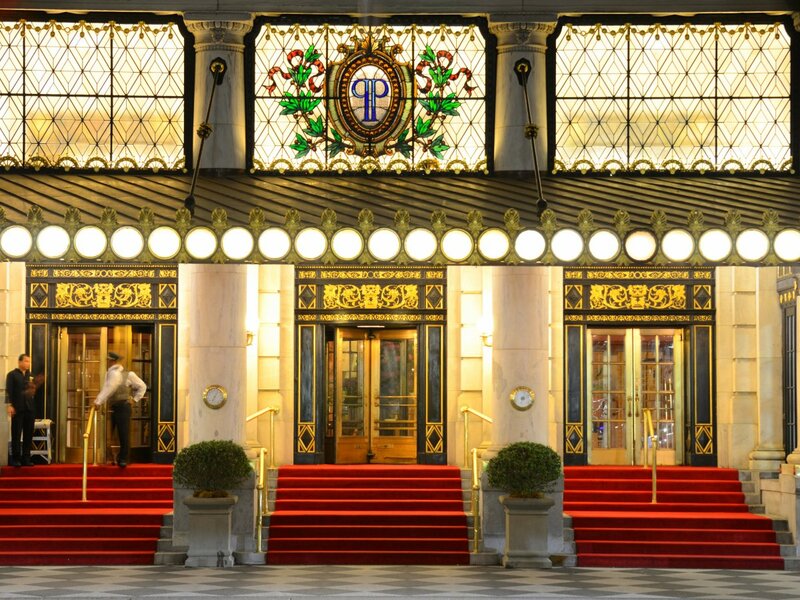 Welcome to The Plaza Hotel, where dreams become memories. Come join us on a royal journey. We wish The Plaza Hotel and Ambassador Pritan Ambroase continued success as they continue to strengthen their legacy by setting highest standards, and for the latter, we wish more of what he believes in most, a happy family, joy and loyalty. Here’s to the legends of our times and The Plaza’s ethereal guests who continue to add to its legacy.